Developing the packaging techniques your online store will use? Like they say, it’s all in the details. All those little choices you have to make add up to a strong packaging strategy—one that benefits you, your team and your customers if you do it right. It takes work and decisiveness, for sure, but it doesn’t have to be difficult. Know your business, know your product, and you’ll know your packaging needs in no time. 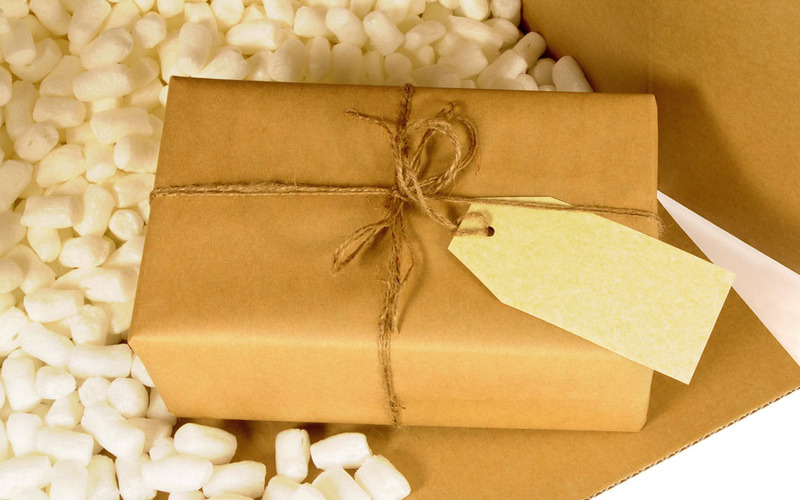 Here’s 10 e-commerce packaging tips for properly packing your customer orders. Take a look at your product. Knowing its measurements and weight are important, but you should also take note of its construction. Is it particularly vulnerable in one place, or fragile in general? Make sure you shore up those places, or bundle it in extra bubble cushion wrap. Does it need to remain absolutely dry or be kept cooler than room temperature? Poly mailers or insulating materials will be your saving grace, respectively. Not every shipment is the same, so take stock of its particular needs. It’s said a lot, and it’s absolutely true: not every shipment needs a box. Mailer envelopes have become an effective alternative to corrugated boxes, often combining shipping carton and void fill in one. They’re especially useful for smaller items that don’t need the space of a cube. That said, for those products that do need the space of a box, it’s ideal to ship in brand new ones. They won’t have dents or rips that compromise its strength, and it’ll look so much better and cleaner to your customer. There’s no denying that custom branded packaging makes you stand out from the crowd, but it can be a big expense, especially if your store is just starting out. A kraft box and a label with your logo makes for simple, clean and eye-catching packaging. And a thank you card included with a customer’s order can do more for loyalty than you’d think. You can always use custom packaging for bigger, splashier products that you know will grab and surprise your customers. Brand new boxes are always a good choice, not just for a shipment’s strength, but for a customer’s impression of you, too. Simple choices like a clean box and oyster-coloured water-activated tape can be impressive all on its own. A lack of budget doesn’t mean you have to sacrifice appearances or protections. Simple and clean are never ugly, damaged and dented are never in style. Save yourself time and hassle—never settle for using a box that’s way too big for your products. Set out to buy boxes that are close enough to your product’s size that all it needs is a little void fill to pack it right. You can also invest in multi-depth boxes, which accommodate multiple sizes of products and can fold downwards to reduce volume. Not only will you save money on corrugated boxes and void fill packaging supplies, you’ll make an even better impression on your customers. Even subconsciously, people judge how well a product is packed. Too much void fill, or too much wasted space can make you seem like you don’t care. Presentation matters. Here’s a place when your store can absolutely shine. Everyone loves to be appreciated, and sometimes the smallest, easiest gesture is the best one. Opening a shipment to discover a big thank you card, handwritten and signed, will bring a smile to even the most jaded customer’s face. And there are plenty of other things you can add before sealing the box. Little gifts and add-ons that match what they’ve bought, coupons for refills and discounts, delicious candy and more. The list can become pretty extensive depending on how far you’d like to go. This is a biggie, and you’d be surprised how many online stores gloss over this. Sealing up a customer’s order ensures it not only avoids being tampered with, but that it even reaches their door in the first place. Discount tape isn’t much of a bargain if your boxes are opening in the middle of their delivery. Quality packing tape is always a good place to start, and from there, choose a tape that satisfies your shipment’s need. Does it need security and privacy? Water-activated tape is a good choice, while tamper-evident tape is a strong deterrent. It is traveling in very low temperatures? Cold-weather tape has the adhesive needed to stay sealed and strong even in freezing times. Customers can make mistakes when typing, and sometimes even the best computer programs run into bugs or runtime errors. Always verify customer addresses so their shipments aren’t delayed, end up somewhere else, or get returned to you. Nothing erodes customer confidence and loyalty like a simple delivery mistake that makes them wait several extra days for their order. If you sell perishable items, the day you choose to ship them can make a world of difference. Shipping anytime Monday to Wednesday is your best choice, especially if you choose next day delivery. Your products will arrive quickly, with minimal time spent in and out of delivery centers. Sometimes, choosing expedited shipping to send out a customer’s order is worth the expense, especially if they’re a long-time customer, or if they’ve been waiting a while. Plenty of stores let communication end as soon as the order is in a customer’s hands. But you’re not going to do that, are you? We didn’t think so. Asking for a customer’s feedback is one of the most important things you’ll do to build a connection with them. Send them a survey or a quick email and prompt them for their thoughts. You’ll improve your customer service and make them feel enormously appreciated. There’s plenty to consider, and lots to plan, but there’s no denying that it’s worth it in the end. A strong, competent packaging strategy pays you back in both cost savings and customer loyalty. With these e-commerce packaging tips, we’re sure your online store will have what it takes to not only ship things right, but ship them brilliantly.